Indie Boards and Cards is full steam ahead with their games Heroes Wanted and Flash Point. Each one is getting a new expansion, and they've taken to Kickstarter to get them funded. Yes, two separate Kickstarters at the same time. Both are doing well, having made it over their funding goals. We've launched two new expansions... on kickstarter: Flash Point Tragic Events and Heroes Wanted Elements of Danger! We know that both of these games have a strong fan base, and we want to be able to continue offering great content to those that continue to play these games years after release. Kickstarter is a great way to do that, and that is why we are offering these two limited release expansions direct in these special kickstarter projects. Tragic Events includes the Fire & Event decks that are designed to replace the Hot Spot mechanic in the Experienced game rules and add exciting new "events" to make each game of Flash Point even more unique. We also are including three specialists (Strategist, Suppression Specialist, Fire Prevention Specialist), each with their own mini. 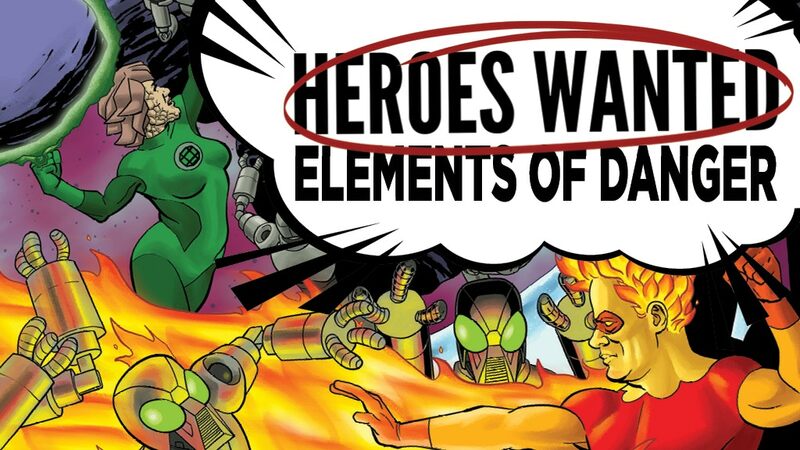 Elements of Danger sees the Elemental heroes join the fray, harnessing the very forces of nature against an all new bevy of criminal geniuses, sentient websites, and opinionated baddies! But wait! There's more! Not only does this expansion for Heroes Wanted add a brand new hero type to your already near-infinite game play options, it also provides even more content for the other hero types in the game. Elements of Danger includes 16 Enhanced Basic Actions, 24 Hero and 8 Villain cards, 16 Special and 15 Epic Action cards, & 20 Elemental and 25 Alternative Bonus cards!